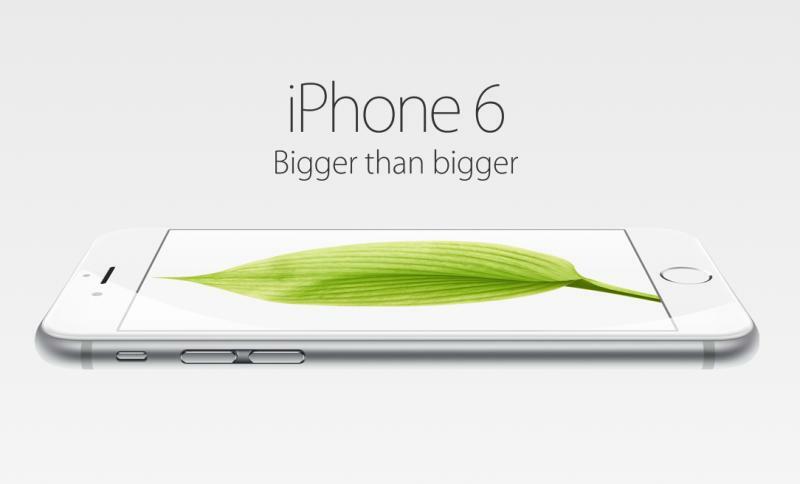 Specs definitely aren’t everything but Ars Technica reviews editor Ron Amadeo, who specializes in reviewing Android products, couldn’t help laughing at some of the specifications that Apple included with the iPhone 6. 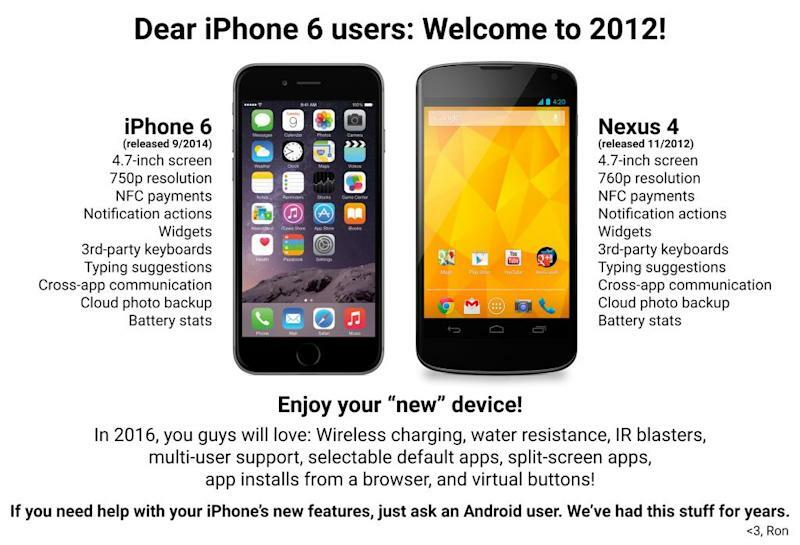 With this in mind, he made a graphic that’s become a hit among Android fans that compares the iPhone 6 to 2012’s Nexus 4 and shows that a lot of the upgrades that Apple added to its newest smartphone were present in the Nexus 4 when it launched nearly two years ago. As the graphic points out, the Nexus 4 also had a 4.7-inch display with a very similar resolution to the iPhone 6’s. It also had NFC payments, third-party keyboard apps and other features that Apple is only just getting around to putting on its phones. That said, there are also some features on the iPhone 6 that you wouldn’t have been able to get on the Nexus 7, such as the Touch ID fingerprint scanner system, a 64-bit processor and an option to buy one with 128GB of storage. Plus, iPhones have had worse specs in many regards to high-end Android phones for years now and it doesn’t seem to really bother iPhone users, who will still line up around the block in less than two weeks to get their hands on the iPhone 6. All the same, when Apple starts touting next year’s iPhone 6s for its “magical” 1080p display, I imagine Android fans who are rocking smartphones with 2K displays will have a good chuckle at that as well.